Many individuals have the difficulty of snoring whenever they sleep which causes disturbance among the neighbouring individuals for snoring so hard. There are several dental treatments of successfully treating snoring cases within an estimated period of time. Snoring appliances are in great demand nowadays among individuals who have the regular habit of snoring. There are several different types of the appliances which help in controlling the movement of the structures inside the mouth thus preventing the individual to snore at night when the devices are used properly. 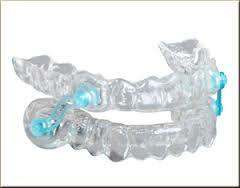 Oral appliance therapy has put a great impact on the condition of the patients who have a habit of snoring. When the individual sleeps the device is placed inside the mouth and then the individual can sleep in a relaxed state without disturbing anyone around them. Sleep apnoea is a commonly seen in many dental patients. Snoring is one of the main symptoms in such patients. Therefore, the appliances can be successfully used in such patients to improve their condition gradually. Snoring appliances should be preferably being made from the dentists clinic as it ensures that the devices and the treatments are goal oriented. In the first appointment, the dentists analyses the condition of the patients and does a proper clinical examination of jaw, tongue, teeth as well as airway along with the required x-rays of the mouth. In the second appointment the dentist provides customized trays to the patients so that the patients can wear it at the time of their sleep. Digital technology is now used to a great extent to prepare the customized devices for the patients which best fits in the patients mouth. 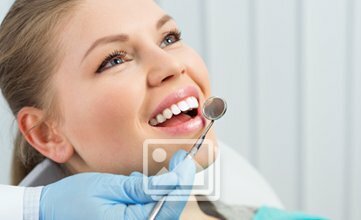 The dentist will fit it in the patients mouth and tell how to take care of the appliances and inform the patients regarding the correct ways to clean the appliances on regular basis. Then follow-up visits are done with the dentist to keep a check in the progress of the patients condition.